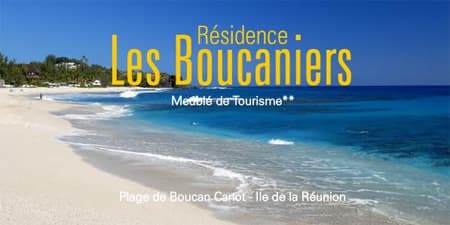 The residential hotel Les Boucaniers is close to one of the most beautiful beaches of the West coast of Reunion Island, Boucan Canot, a small seaside village which is much appreciated by tourists and locals. 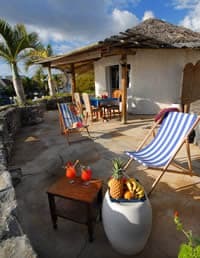 Classified 2 stars by the Tourist Office, Les Boucaniers welcomes you in a tropical setting with sea views. 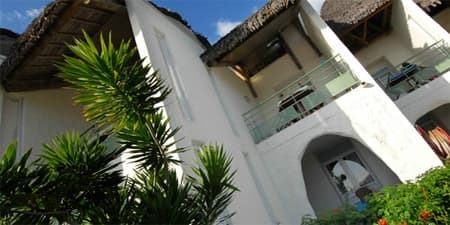 The Boucaniers (Buccaneers) residence is composed of 6 apartments (for 4/5 persons), a kiosk studio (for 2 persons) and 8 fully equipped studios (for 2/3 persons) that are all oriented towards the beach of Boucan Canot. Each of our flats has a veranda or a terrace where you can have dinner and breakfast while enjoying the sea breeze. Only a few meters from the beach, Les Boucaniers is an ideal base for your holidays. - The Piton Maido, Dos d'Âne and Mafate are just ten minutes drive from the residence. The residence is close to the main beaches of the west. 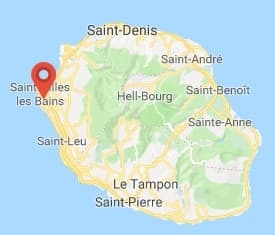 Besides the Boucan Canot beach, you can enjoy the beach in St Gilles les Bains and the Ermitage lagoon or the wilder one in Trois Bassins which is a little further south, in the direction of St Leu.